December 14 was the fifth anniversary of the attack on Sandy Hook Elementary School, and gun controllers who still use that attack to call for more Second Amendment restrictions were outraged. December 14th marked five years since my six-year-old son, Dylan, was murdered in his first grade classroom alongside 19 of his classmates and 6 educators. Not only did [Trump] ignore the 5-year remembrance completely — not even a single tweet — he slapped us all in the face by having none other than NRA President Wayne LaPierre at his White House Christmas party that night. The appalling lack of humanity and decency has not gone unnoticed. What Yahoo News! did not point out is that Hockley is the founder of the gun control group Sandy Hook Promise. This is the group for which country singer and former President Barack Obama supporter Tim McGraw held a fundraiser in 2015. It is the same gun control group for whom singer Sheryl Crow released a gun control anthem this year. During the past two years, Sandy Hook Promise has supported a gun confiscation bill in Oregon and a federal expansion of background checks, neither of which would have prevented the Sandy Hook attack. Moreover, the group unsuccessfully opposed a concealed carry bill for law-abiding citizens in Georgia. 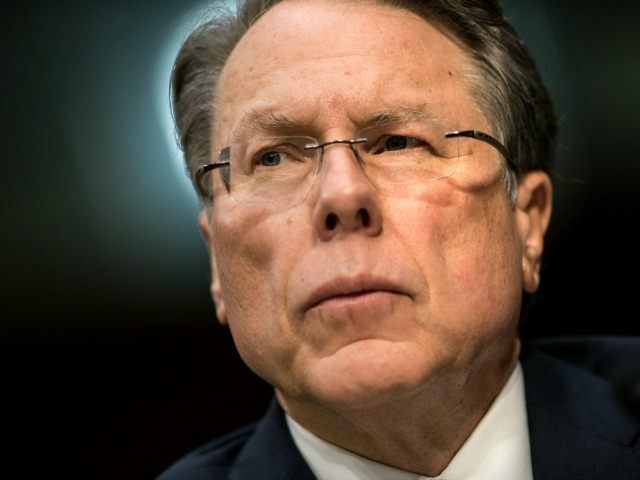 Hockley is upset that President Trump hosted LaPierre at the White House because LaPierre’s response to Sandy Hook is not a call for more gun control, but a call for good guys with guns guarding schools to keep children safe. After all, Sandy Hook was a gun-free zone, and that allowed the attacker to have more than nine minutes without facing any armed response. Nine minutes are an eternity if the bad guy is the only person in the building holding a gun. Sanders is correct. The expanded background checks Sandy Hook Promise supports would not have stopped the Sandy Hook attacker because he stole his guns. He did not walk into a store and buy them. Moreover, the expanded checks would not have stopped the Las Vegas attacker because he passed background checks for his firearms. Gun control proved impotent once more.